The cost to educate a single child with developmental and/or intellectual disabilities at Mercy is $22,710 for the 2018-2019 school year. *Mercy’s success and continued improvement relies heavily on the financial and volunteer support of its parents and the community. The Mercy Parent Alliance helps facilitate this support by providing fundraising and volunteer opportunities that raise money for the school and promote community awareness of Mercy. 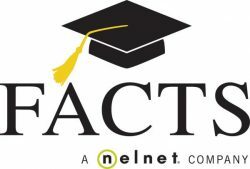 Families must complete an application via the FACTS system to determine what scholarships they are eligible to receive. Parent pay is determined after financial information is reviewed. Mercy offers a very generous Scholarship and Tuition Assistance Program to help lessen the difference between parent pay and the cost to educate and assist families who believe that Mercy provides the best educational option for their child. We encourage all families to speak to their public school district officials about supporting their child’s education at Mercy, if it has been determined that the district does not have reasonable placement for the student. Mercy also offers discounted rates for subsequent siblings.